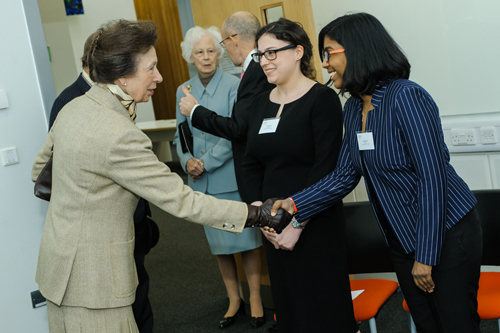 Chancellor of the University of London, HRH The Princess Royal, visited City, University of London in March 2017 to officially open the new main entrance. The new main entrance complex is part of a multimillion-pound project to transform the estate. During her visit, HRH The Princess Royal met more than 100 staff and students from City, including representatives from each School. Students and staff who were part of the meeting party have shared their experiences of this memorable day. Naz was chosen to meet HRH The Princess Royal for her involvement in a wide variety of extra-curricular projects. She was joined by members of the Students’ Union and captains and presidents of several societies and sports teams. Abdallah Damaj studies Mechancial Engineering and is part of the City Racing Team. City’s Racing Team work together to design, build and race a single-seat racing car, which they then enter into the Class 1 Formula Student competition run by the Institution of Mechanical Engineers. Jackie Dawes is the Course Operations Manager for the Cass Undergraduate Programme and has worked at the University for around three years.Jackie met the Princess at the event to talk about Cass, however she had met her once before, many years previously. Jackie hoped she might be able to make it along to watch the show, but was unable to leave the hospital. “I remember feeling really upset that I couldn’t perform or meet the Princess,” Jackie said. To her surprise, the Princess had heard what had happened and decided to visit the hospital after the show to meet Jackie. “I was absolutely delighted when the Princess kindly visited the hospital, and passed the bouquet on to me,” she said. 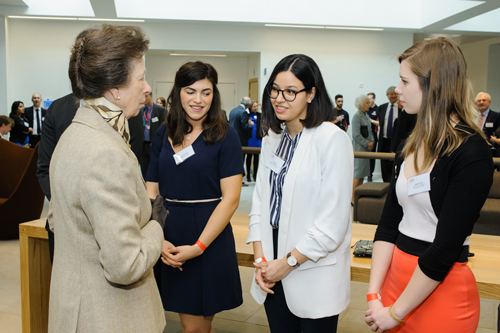 The second time Jackie met the Princess, she was leading a group of Cass Business School students. 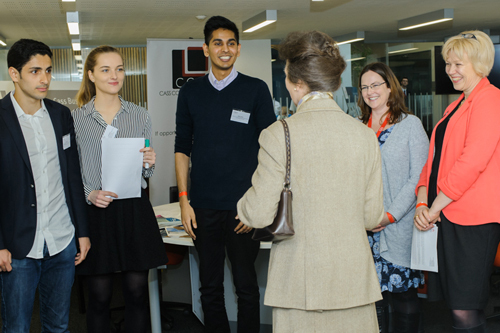 They were delighted by how interested HRH was in their studies and their contributions to Cass societies. She was so warm and friendly and chatted to the students for quite a while, even making a joke about whether or not she uses social media (she doesn’t). It was a pleasure to meet her again.